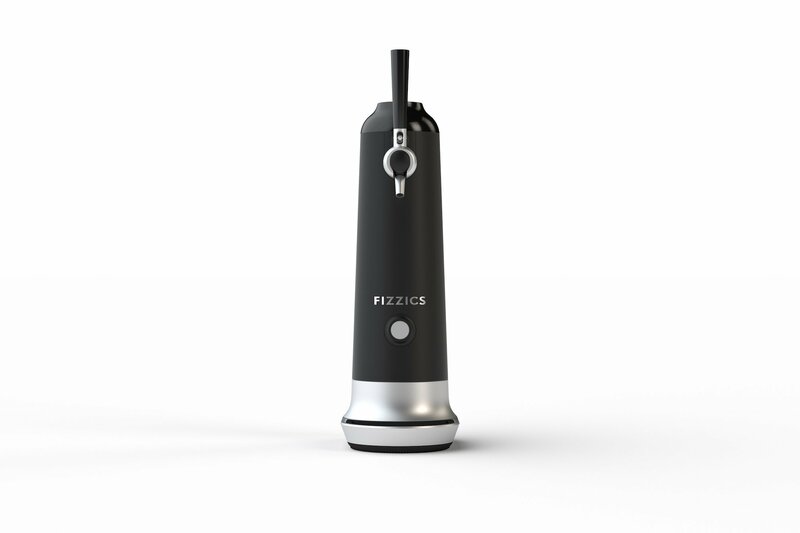 2016 brought us the ingenious Fizzics beer dispenser, letting you turn bottles or cans of beer into a simulacrum of the draft experience via a dispensing system that works a lot like a tap. The original Fizzics works pretty well, but it’s a bit large and a bit expensive. So, enter the Fizzics Waytap, essentially a smaller version of the same idea. The design idea is similar, but rather than placing the beer in a large container (which could be iced), you surround the bottle (which can’t be kept cold) with the Fizzics canister, snaking the tube into the bottle or can as you put it down. The Waytap only supports bottles up to 12 oz and cans up to 25 oz, so note that you won’t have room for a big 750ml monster in this unit. Functionally, the system works about the same way. Pull the tap (powered by 4 AA batteries, not included) to dispense beer into your glass. Push to top off with “an ideal amount of micro-foam” and it will shut off automatically. The results are fine, if not earth-shaking. 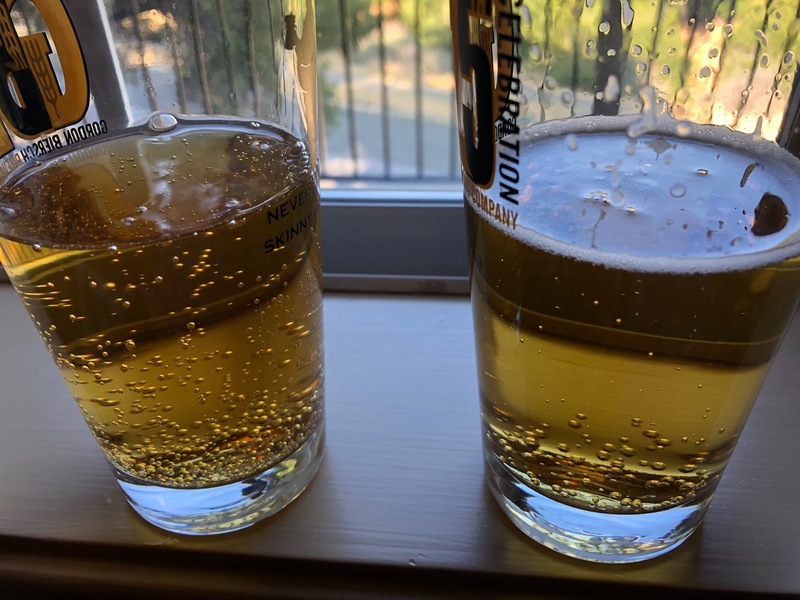 Beer dispensed through the Waytap is a bit more bubbly (see comparison photo), but I didn’t get much in the way of an added head. The bigger problem — and it’s a much bigger problem — is that the Waytap didn’t come close to emptying the bottles I tested with. Typically I’d have up to 3 oz. of beer left behind, roughly a quarter of the bottle. Sure, you can pull the Waytap apart and finish off the brew left in the bottle, but that’s kind of defeating the purpose of the unit. All told, the Waytap just doesn’t work as well as the original Fizzics, and while the smaller size is a nice idea, it comes at the expense of necessary functionality. Update 9/18/2018: Fizzics suggested that my unit might have been faulty and sent a replacement. Sure enough, this one worked as advertised, spitting out a voluminous foamy head on top of the beer after it was dispensed. (Perhaps too much foam for my tastes, actually.) While it’s still a bit of a clunky solution compared to the original Fizzics, the working unit is a significant improvement. Rating upgraded appropriately.